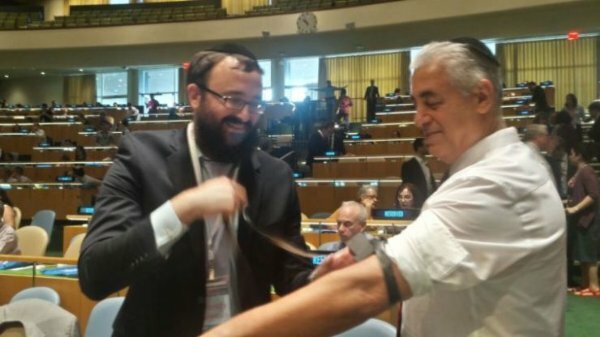 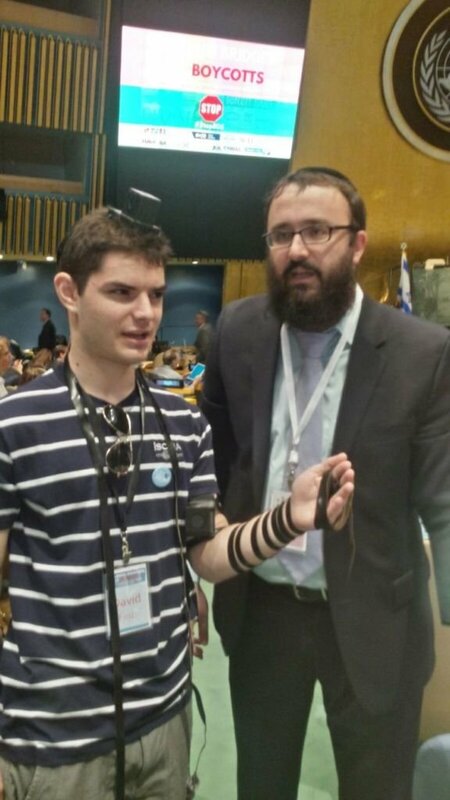 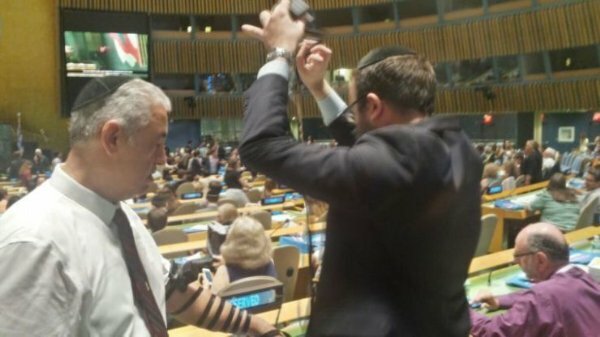 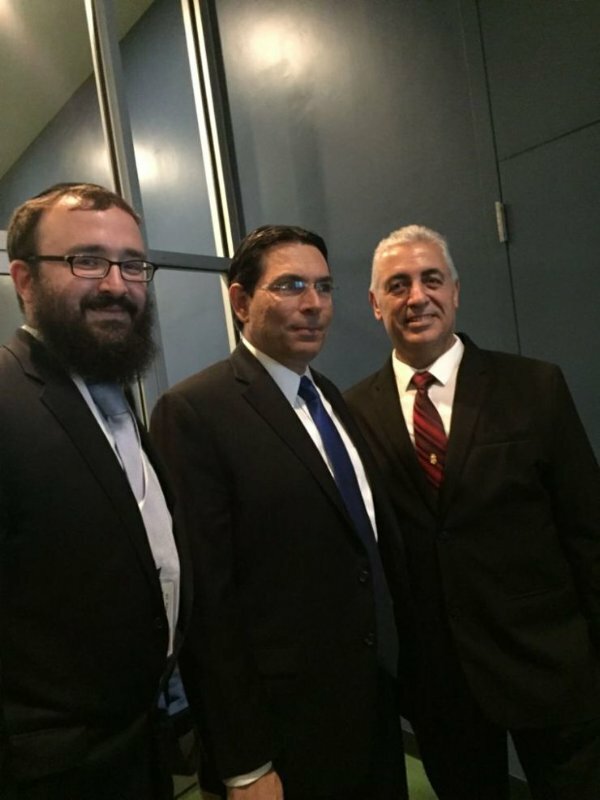 Tefillin at Largest Anti-BDS Gathering Danny Danon, the Israeli Ambassador to the UN is hosting an anti-BDS conference titled “Building Bridges, Not Boycotts” in the United Nations. 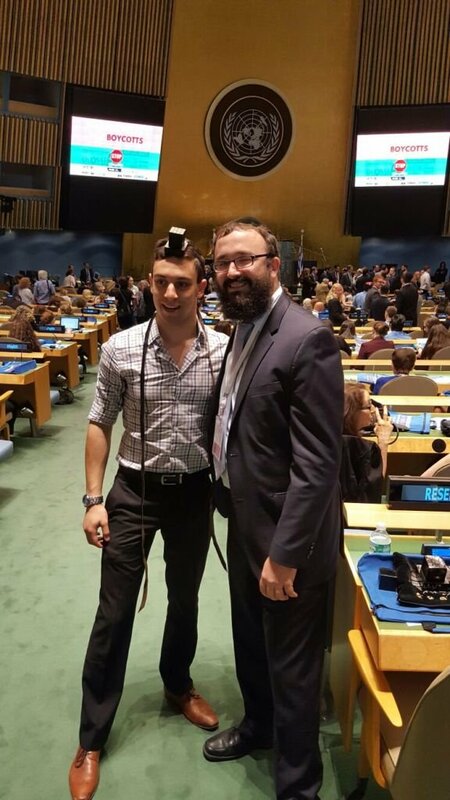 With more than 2,000 students, activists and legal professionals in attendance, the summit is one of the largest anti-BDS gatherings in history. 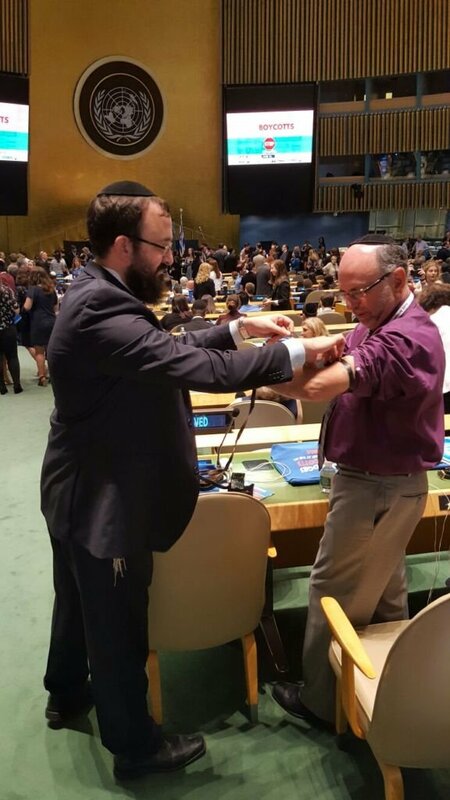 Rabbi Mendy Carlebach, Shliach in New Jersey, used the break for putting on Tefillin.